Welcome to ACM CHI 2016: the top conference for Human-Computer Interaction. CHI will take place from May 7 – 12 at San Jose, CA, USA. For those who are finding out about CHI – pronounced kai – for the first time, CHI is a place to see, discuss and learn about the future of how people interact with technology. At any minute you might experience a new gesture interface for tablets, learn how developing countries use mobile phones for maternal health, play soccer against someone 3000 miles away, or debate the future of online education. You’ll meet with top researchers from universities, corporations and startups from across the world, as well as the brightest student scientists, designers, and researchers. It’s a place to find your community, to talk about your toughest problems, and to find your next job. the CHI conference experience from submission and review processes, to more participation possibilities at the conference. Peer reviewed papers have more space for references and will receive a wider range of better-matched reviews. There are more curated venues and more input into the selection of keynote speakers. 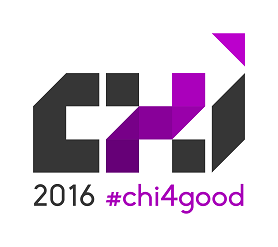 We’ve even added an optional day of service before the conference – #chi4good. Bring your design ideas, innovative research, HCI teaching and more as we see how HCI tools and methods can be used to help the under-served, under-resourced, and under-represented. Join us in the heart of Silicon Valley, San Jose, California for this important conference, and gathering of the world-wide HCI community. 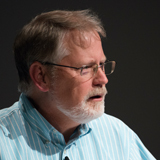 Welcome – we can’t wait to see you at CHI 2016!